An interest rate is the price that is paid by those that borrow money. Interest rates refer to the percentages of money paid against an amount of money that was borrowed to someone. Seen at a different angle, interest rate can be seen as the compensation paid for the risk and service of borrowing money. With no interest rates people, banks and financial institutions would not be willing to lend money, as their services as a money lender would not beneficial to them. In terms of the Forex interest rates, the lender may be an investor holding cash or commodities and the borrower may be a bank anywhere in the world. The investor lends money to the bank and will receive, after a set period, interest added to the original sum that was borrowed according to governing forex interest rates. Forex interest rates are normally expressed in terms of a percentage amount over a period of a year. 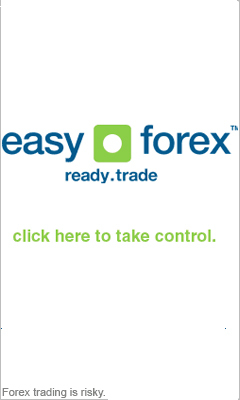 Forex trading interest is credited on a daily basis. Interest rates are central in the changes in the prices of currencies in the foreign exchange market. What factors affect Forex interest rates? Rates of Interest Supply and Demand: The levels of forex interest rate are a factor of the supply and demand of credit. When there is a surge in the demand for credit, the forex interest rate will raise. When there is a decrease in the demand for borrowing money, the forex interest rates will decrease. Conversely the supply of credit will force the forex interest rates lower while a decrease in the supply of credit will force them to increase. Forex Interest Rate Inflation: Forex interest rate is also governed by the rate of inflation in that country. Interest Rates will increase as the rate of inflation grows higher. Inflation refers to the fact that a given amount of currency will have a decrease in its buying power in the future. A given amount of money will buy less quantity of goods in the future than it will today. The borrower of money needs to raise the interest rate to secure his investment against future inflation. What Part does Government play in Rate of Interest? Interest rates set by central banks and national governments are used to regulate the monetary policy in their country. Interest rates implemented by central banks and governments are used to control financial variables such as inflation, unemployment, investments and the value of their foreign exchange currency. The national funds rate, set by governments, will affect the value of the interest rate that banks charge for the money they lend. Changes in interest rates, thus directly cause the foreign exchange market to experience volatility. An increase in interest rates will entice investors to invest within that market causing the demand for the currency to increase. As demand increase, the commodity becomes scarcer and therefore more valuable.